lost flight of Amelia Earhart a pioneer of women in aviation. 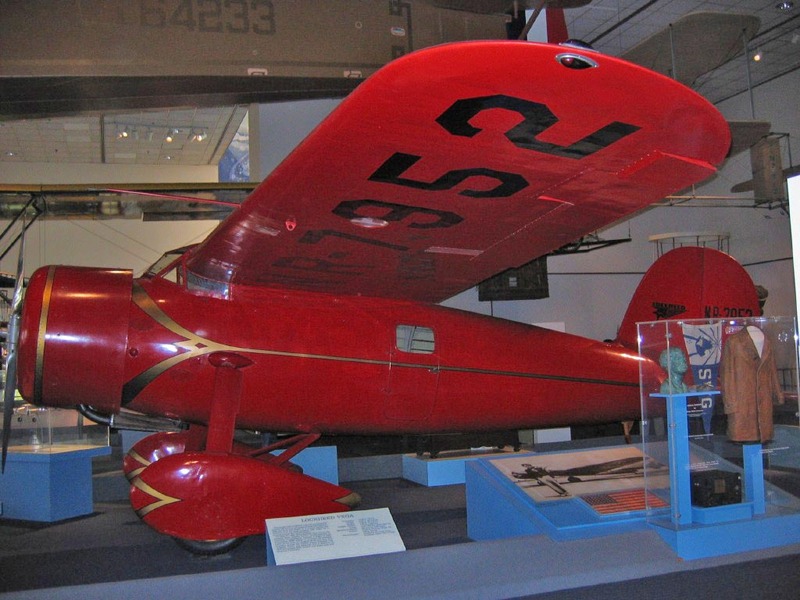 Although Earhart’s plane disappeared in 1937, people are still speculating about what happened, whether the plane really did crash into the ocean, and what became of Amelia. It is easy to forget that when airplanes were first produced, people weren’t quite sure what to do with them. They were viewed by many as a sort of toy for adventurous young men—the type who nowadays go in for extreme sports like bungee jumping or whitewater kayaking. World War I proved the value of airplanes as weapons of war, but piloting remained a dangerous activity and one strongly dominated by men. Ten years after the war, in 1928, Amelia Earhart made headlines by being the first woman to fly across the Atlantic, even though she traveled as a passenger rather than a pilot. When she returned to New York with the pilot of the plane, they were given a ticker tape parade to celebrate the event. But women definitely needed to do more than just be passengers to prove they belonged in a cockpit and Amelia was determined to prove just that. By that time she did have a pilot’s license. In 1923 she had become the 16th woman to be issued a pilot’s license by the international aviation federation. Still there were not many opportunities to fly except in exhibitions; Amelia earned money by being a sales representative for Kinner aircraft and by writing an aviation column for a local newspaper. Luckily, George Putnam a publisher and publicist had been one of the people who had made arrangements for Amelia’s transatlantic flight. The two of them soon teamed up to help promote aviation and especially women’s place in the world of flight. In 1931, they became more than business parties when they married. For the rest of her life Amelia and her husband worked together to promote aviation. Amelia Earhart in flying gear. activity not just a daredevil sport. The next challenge Amelia Earhart decided to take was to fly around the world; in 1937 she made plans for this flight. It would not be the first time pilots had flown around the world, but it would be the longest trip because it would circle the equator rather than take a polar route. The flight started in Miami and travelled west. Amelia and her navigator stopped numerous times along the way to refuel, but their final stop was in Lea, New Guinea. After the plane took off from there, it was never seen again. You can read accounts of the final radio transmissions from the plane and the long search by air and sea for the plane in numerous sources online and in print. The mystery of Earhart’s disappearance was a major drama of the 1930s and caught the attention of people around the world, attention that still continues. Many theories and legends have grown up around Amelia Earhart’s disappearance. The most credible theories seem to be that the plane either crashed into the ocean and sank or that it landed on Gardner Island, a small atoll in the Pacific. With no means of surviving on the small island, the fliers would have died and the plane eventually disintegrated. Other legends are more colorful and are still considered possible by a few people. Earhart had many prominent friends, Eleanor Roosevelt among them, and one theory is Franklin Roosevelt asked her to spy on the Japanese. 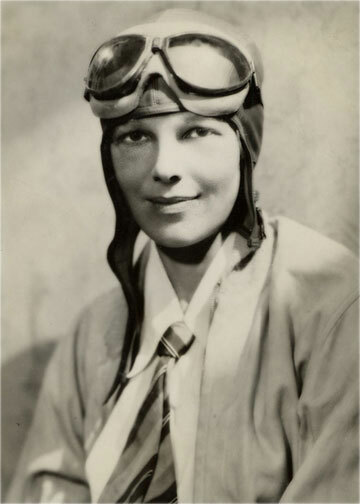 Some writers have even suggested that Earhart survived the flight and returned to the United States where she lived under a different name. There is a wealth of books and other materials about Amelia Earhart’s life and flights. Many of the books about her have been written for young people, especially young girls. Perhaps Earhart’s most important legacy has been serving as an inspiration to generations of girls growing up in America and around the world. For almost 100 years her skill and daring have helped girls to decide they too can become pilots or doctors or astronauts. Despite the tragedy of her early death, her spirit lives on. I’m always blown away when I read about pioneers and the extraordinary bravery and gumption they must have to undertake these tasks. The fact that Earhart was a woman in a man’s field at the time makes her feat all that more amazing. Thanks for the reminder! I’m glad you enjoyed the post. Amelia Earhart was an amazing woman and, as you say, all the more remarkable for being one of the few women in her field. I always enjoy hearing about people like that. Wonderful blog post! It’s so true that Amelia Earhart continues to inspire people today. Some readers may remember the movie that came out a few years ago about Earhart’s life. It starred Hilary Swank as Amelia and Richard Gere as George Putnam and although it might have been “glossier” than real life, it did remind young people today, I think, of how important Earhart was as a pioneer for other women as well as for her own right to fly. Thanks for keeping this important aspect of Earhart’s story alive!